4D's dynamic Fizeau laser interferometers measure flatness, shape, thickness uniformity, homogeneity and wedge of flat-surfaced mirrors, windows, wedges, wafers, filters, etc., from deep UV through IR, despite air movement and vibration. The compact AccuFiz excels at fast, repeatable measurement of surface shape and transmitted wavefront error of flat and wedged optics. It is the most versatile Fizeau available, for any production environment. The short coherence FizCam 2000 measures both sides of transparent, parallel optics as thin as 200 microns, surfaces in multi-surface optical systems, remote cavity test setups, and solid cavities such as etalons (laser rods). NanoCam and FlexCam systems measure surface roughness on coated and uncoated surfaces to ensure the quality of polishing processes. 4D PhaseCam Twyman-Green interferometers are the industry choice for measuring concave spherical optics, from several millimeters to tens of meters in diameter. AccuFiz Fizeau interferometers can measure concave and convex spherical optics, with a wide range of reference optics to match test parts. High resolution systems like the AccuFiz 6MP can measure steep slopes. All 4D laser interferometers feature 4Sight software for comprehensive analysis of spheres, including Zernike and Seidel analysis, slope analysis, and much more. The more complex profiles of aspheric optics can prove challenging for 6Mpix Accufiz - has the highest slope acceptance of any interferometer on the market and can handle mild aspheric departure (our fax sheet had #'s on the limits). For general case or steep aspheres we recommend using a computer generated holographic (CGH) null corrector (with AccuFiz or PhaseCam) which provides rapid, non-scanning, whole-field measurement. 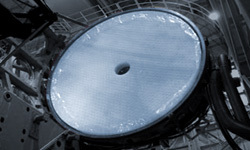 CGH's are routinely used on many of the premiere optical projects such as JWST. 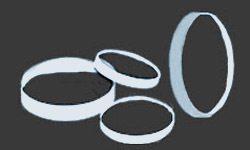 Large optics, often greater than 1m in diameter, are required in a quickly expanding range of terrestrial and satellite-based astronomy programs, and by defense and security applications. Virtually every major telescope and satellite-based optics program in recent years has relied upon 4D laser interferometers to ensure its success. 4D PhaseCam Twyman-Green interferometers are the industry choice for measuring large concave spherical optics. PhaseCam systems can measure despite vibration and turbulence to accommodate long stand-off distances. 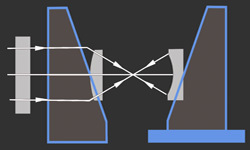 High power allows PhaseCams to measure aspheres with a CGH (computer generated hologram) in the optical path. 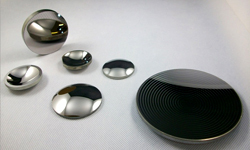 AccuFiz Fizeau interferometers can measure large concave and convex spherical optics, with a wide range of reference optics to match test parts. High resolution systems like the AccuFiz 6MP can measure steep slopes. 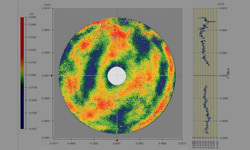 Both PhaseCam and AccuFiz can characterize non-traditional elements, such as testing aspheres and quantifying the modal response of deformable mirrors. Measuring optics and optical systems at their functional wavelength is critical to ensuring success in the field. 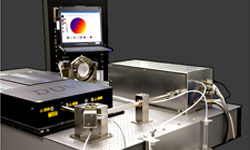 4D Technology's PhaseCam NIR and IR laser interferometers provide accurate surface and wavefront measurements of spherical and plano IR optics and systems, from 1.053 to 10.6 micron wavelengths. With acquisition times under 30 microseconds these instruments are insensitive to vibration and air turbulence, enabling use in difficult environments such as production floors, clean rooms and environmental testing chambers. AccuFiz IR interferometers operate at wavelengths from 1.55 µm through 10.6 microns, for measuring polished or rough-ground optics and metal surfaces, concave, convex and afocal IR components, and IR telescopes and lens systems. Their ability to capture high slopes makes it possible to measure aspherical optics without the need for a holographic element. Satellite-based observatories and optics program rely on 4D to ensure successful performance in the challenging conditions of space. 4D PhaseCam Twyman-Green interferometers measure small and large concave elements and primary and secondary mirrors. PhaseCam systems can measure despite the vibration common in environmental test chambers. 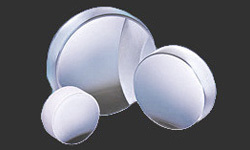 AccuFiz and FizCam Fizeau interferometers measure flat, concave and convex spherical optics, and can even measure through view ports to test optics at cryogenic temperatures and pressures. 4D is proud to be one of the primary metrology partners in the development of the James Webb Space Telescope, and on dozens of other projects to explore space and understand our planet. 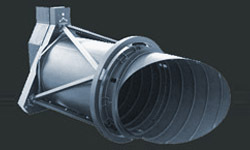 4D PhaseCam Twyman-Green interferometers are the industry standard for measuring concave primary and secondary mirrors. Vibration insensitivity enables measurements across long standoff distances without isolation. NanoCam Sq and FlexCam Sq measure roughness directly on the optic or on robotic positioners to ensure surface quality at every stage of polishing and coating. PhaseCam systems can measure modal response to input signals and external vibration to verify control systems for adaptive optics. In the past, to measure the modal response of an adaptive optic to changes in the actuators, sensors have been used to measure movement at individual points on an optic—a slow, low-resolution solution. PhaseCams measure nearly instantaneously, imaging adaptive optics as they actuate, to verify and calibrate the response of the actuators. 4D AccuFiz compact laser interferometers and PhaseCam Twyman-Green dynamic interferometers accurately measure transmitted wavefront error in flat and focal optics. A wide range of test wavelengths, aperture sizes and accessories accommodate a vast array of optics. 4D’s FizCam 2000 and AccuFiz SIS Fizeau interferometers use short coherence sources to isolate the surfaces of plane parallel optics and bulk samples. Both systems make it possible to measure homogeneity from three measurements, all completed in a single setup for excellent repeatability. PolarCam snapshot micropolarizer cameras let you quantify changes in polarization from birefringence due to stress in glass and plastic parts. Measure birefringence in real time, even in moving or spinning samples. 4D Technology's FizCam 2000 Fizeau dynamic laser interferometer uses a short coherence source that allows you to isolate fringes for each face of a prism. Use the FizCam to measure prism angles and faces—even the front face. The FizCam 2000’s short coherence also allows you to isolate fringes to measure corner cube surfaces, as well as measuring dihedral angle errors and retroreflection errors. Installing measurement equipment directly into polishing systems eliminates material handling and fixturing time. 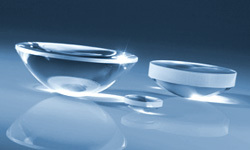 The result is highly efficient processing and less risk of damage to optics during handling. 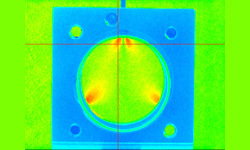 PhaseCam laser interferometers can be mounted in situ to measure surface shape and form. NanoCam Sq profilers can be mounted in situ or on robotic effectors to measure surface texture throughout the polishing process. The NanoCam Sq and FlexCam optical profilers measure surface roughness on supersmooth optics and precision surfaces. 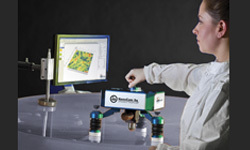 Excellent portability and non-contact measurement makes it possible to measure surfaces directly, replacing messy replication methods required with traditional workstation optical profilers. The FizCam DUV dynamic laser interferometer measures microlithography optics and optical systems at deep ultra-violet (DUV) wavelengths. Acquiring data in less than 1 millisecond the FizCam DUV can measure accurately despite the heavy vibration and air turbulence typical of DUV compliant clean rooms. Installing measurement equipment directly into polishing systems eliminates material handling and fixturing time. The challenge for in situ polishing metrology, however, is overcoming the air flow, vibration and noise associated with such equipment. 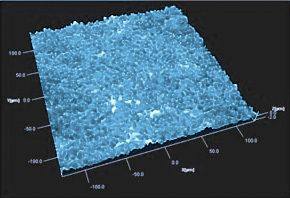 Instantaneous measurement using 4D's dynamic interferometers and optical profilers makes it possible to measure surface shape (PhaseCam) and surface roughness (NanoCam) despite vibration, so they can be incorporated directly into polishing equipment for immediate feedback for the polishing process.